Making alternatives is not something I enjoy doing because I don’t always like the outcome. But, I am challenging myself by doing something new and this month’s kit proved to be a great jumping off start. My first card was simple! A birthday card for my little. It turned out cute, just like her. My third card is using a sentiment from the stamp set: Beautiful Day. It goes with the theme that every month, I am thinking of you! I know I will find the perfect person to send this card too. I hope you enjoyed my attempt at alternate ideas. I know Paper Pumpkin has more ideas on Pinterest. Good luck and have fun! The Paper Pumpkin team has made an important discovery: Customers LOVE, LOVE, LOVE calendars. So naturally (since we aim to please!) they asked their concept artist to develop the cutest 2019 calendar ever. She obliged, creating the perfect, banner-shaped monthly calendar that you can hang from the wall—at home or in your cubicle at work—using the lovely weave ribbon included with the kit. We also give you TWO Classic Stampin’ Spots in delicious Grapefruit Grove and refreshing Pool Party so you can stamp the white die-cut stickers and create your own topper for each month. If you’re a super-nice crafter who plans to share this kit with a friend, we’ve included gold foil tags—one to tie to the clear box with baker’s twine and some extras which you can use for holidays and birthdays. We can’t think of a better way to ring in the New Year than by making this adorable calendar—maybe, if you are lucky enough to watch the snow fall outside or sip on a cup of hot tea. Don’t you agree? Each Day by Day kit comes with 18 calendar pages, 1 printed gift box, 1 clear box lid, 1 printed chipboard backer, 1 sheet gold foil tags, 5 sheets white die-cut stickers, 3 yards. blue weave ribbon, and 1 yd. baker’s twine. And don’t forget the exclusive stamp set and Grapefruit Grove and Pool Party ink spots! There are also lots of alternate uses for leftover pieces of your kit. Here are some examples and come back soon to find more from me too! That’s right, this month I am also jumping in and making come alternates. I hope you have a very Merry Christmas surrounded by people you love. I love this Sprig Punch in the holiday catalog. It comes in a fun bundle, but I just wanted the punch. It is perfect for punching a couple sprigs for added elements on your card or a lot of punches, in tons of colors, for a wreath!! I saw someone in Germany make these adorable wreaths using all sorts of color combinations and I thought, “oh, I can do that!”, but then when it came down to constructing it, it was tricky. I do like my end result although not as round as I had originally wanted. My wreath is adhered to a piece of thick cardboard, covered with whisper white cardstock, measuring 7″ x 7″. I started by simply punching out sprig pieces in Garden Green, Old Olive and Pear Pizzazz. I then purchased a buffalo check ribbon from an online distributor, to finish it up! To build my wreath I started with all three of my sprig colors, a piece of thin ribbon and some tear-n-tape. I cut my thin ribbon about 9″ long and placed tear-n-tape across one side of it and remove the backing. Then I literally just took one sprig at a time and lined them up one following the other. The ribbon helps to give the wreath shape. It took me about ten minutes to finish it to my liking. I then tear n taped it to my backing. I didn’t love it at first. It was trick to get “perfect” and I fussed with it. But when I was all said and done and I had it on the mantel, I liked it. A lot! Thanks for stopping by. I appreciate the support and if you’d like to get your own Sprig punch follow the simple directions at the bottom of my post. I love to spoil my customers and would be honored if you shopped with me! If you’d like any of the supplies, to shop, or to get a catalog, please feel free to contact me, and of course you can shop now online Stampin Up! US directly through me by clicking the ‘shop now’ button above. If shopping online remember to use the current hostess code (located at the top right of my blog) to help support me. If your order is more then $150 please do not use this code as you become the hostess and get the rewards. 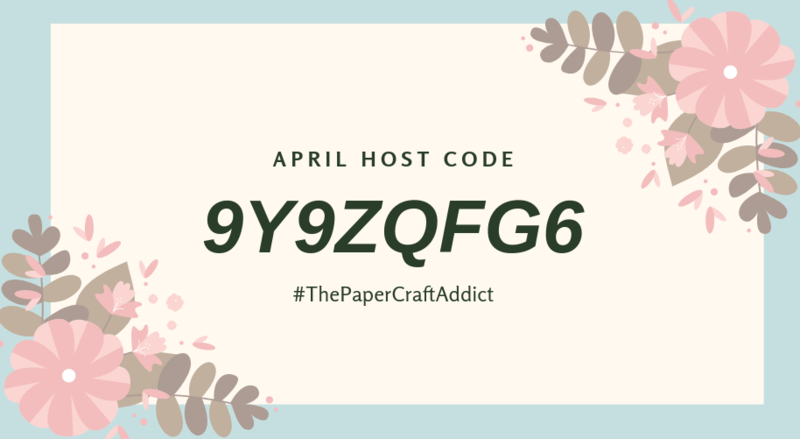 As always, I love hearing from you either by commenting here on this post or through email at: thepapercraftaddict@gmail.com. I am a sucker for any stamp set/framelit bundle that coordinates leaves. The only thing that makes this card better would be a warm fire, hot cocoa and good company! Oh, and a pair of your best fuzzy house socks. Add the YOU MATTER sentiment in the corner and boom! an amazing card is done! This card is a basic 5-1/2 x 4-1/4″ card base in Gray Granite. I made a piece of Tranquil Tide and Tuxedo Black Buffalo Check background and cut it our with the Falling For Leaves Framelits. I also cut out a leaf in Blackberry Bliss. I paired it with a Galvanized Metal Sprig punch. I used some Basic Black satin ribbon and blemished with an adorable bow. It serves to hold my leaf bouquet together. This card is really quite stunning but it packs the punch in the corner of the card, and you’ll miss it if you’re not looking for it. I used the Around The Corners Stamp Set to say, YOU MATTER! I stamped it right in the bottom left. Everybody deserves to know you are thinking of them and everybody needs to be reminded that YOU MATTER. There is just something so stunning and breathe taking about this card and secretly I think it’s the sentiment. It says it all, don’t you think? Thanks for stopping by today! I hope it’s been a good one and I’ll be seeing you soon. Fall is in full swing here in Indiana. The season change was somewhat bipolar this year. We were in the nineties a week ago and now in the mornings we are in the thirties. The swing has my sinuses screaming and my need to hibernate in full swing. Crafting takes up my free time and I love it, especially when it is so cold outside. I started out with a regular folded Crumb Cake card base (5-1/2 x 4-1/4). I trimmed a 1/4″ off the right side. I gathered all my additional elements together and then I built my card. 1 Soft Suede mat for the inside, measuring 5-1/4 x 4″. 1 Whisper White piece to write my message on, measuring 5″ x 3-3/4″. I decorated that piece using stamps from the Falling for Leaves stamp set, in Blackberry Bliss and Gray Granite Classic Ink. 1 Soft Suede ban to create the fun fold flap, measuring 1″ x 3-1/2″ and scored at 1″ to create the fun fold. 1 Blackberry Bliss piece measuring 2-3/4″ x 4-1/8″ for the front flap. 2 pieces of Whisper White measuring 4″ x 2-5/8″ for the front and the middle flaps. That might seem like a lot of prep but I promise you it isn’t. Once you have all your pieces together you can start creating. I, of course, stamped my bucket and floral arrangement in Tuxedo Black and colored using my watercolor pencils. I stamped my other stamps just as I wanted them and I went to work assembling. FIRST I adhered my 1″ ban to the base of my card, aligning it with the score marks and the soft suede mat. I use the Tear-n-Tape that Stampin’ Up! sells. I love it for anything that needs a strong bond. This is the only tricky part because you want to make sure it works properly. The rest of the card comes together piece by piece and very quickly. Snail adhesive will work fine on the rest of the card. YOU ARE THE HAPPY TO MY DAY! Is that not just the best sentiment? One of the reasons I said this stamp set it growing on me. I know several people I could use this for. Overall, I made a very happy card, which also made my day happy. I hope you’ve enjoyed this card as much as I have and will try to recreate this fun fold yourself! Have a happy day and I’ll see you soon! Put on your party hats, and get ready to save. It’s time for It’s Our Birthday Stamp Sale! For 24 HOURS ONLY, you and your customers can save 15% on select stamp sets. This sale will be gone in a flash, so reach out to your customers and invite them to celebrate with us! Watch this amazing video for more inspiration here. All selected sets are offered at a 15% discount. All selected stamp sets may be applied to Starter Kits – WHAT!!! OH MY – maybe NOW is the perfect time to JOIN The PC Addicts Team – MORE VALUE in your customized kit! Discount applies to select stamp sets only when purchased individually during the 24-hour promotion period. Bundles featuring stamp sets from the promotion will not be discounted. If you purchased a stamp set prior to the sale, Stampin’ Up! will not be offering exchanges or credits. In the event that Stampin’ Up! run out of any stamp sets, they will honor the discounted price as long as the order is closed within the promotion deadlines. 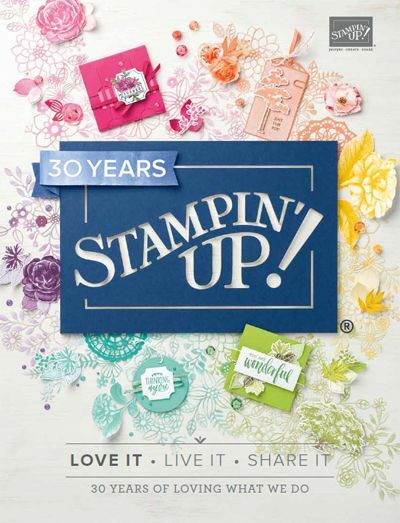 You will receive your discounted stamp set as soon Stampin’ Up! is able to fulfill your order. Thanks for stopping in today! Please reach out if you have any questions regarding this sale or how to shop online with me. Remember to use the hostess code at the bottom of this post for an additional gift!! I appreciate all my customers. When shopping with me use the current host code to receive bonus gifts! My way of saying thank you! Check our my VIP Reward Program for more information! Paper Pumpkin Rocks, Join Today! The content of this blog is the sole responsibility of Renee McClintock as an independent Stampin’ Up! demonstrator and the use of and content of classes, services or products offered is not endorsed by Stampin’ Up!